I get a lot of questions about my skin, how I maintain it and what I do to stay hydrated and energized in the winter months. Having a routine has always been super important for me, and now I think I’ve finally perfected how I wind down for the evening before bed with tips that might help you! After 8-10 hours of working and staring at the screen (sometimes more), I enjoy preparing a meal and catching up with the hubs over dinner. Once we’ve let that digest, we often head down to the gym for a quick HIIT (high-intensity interval training) workout. This has been my saving grace lately; it helps relieve stress and makes my body and mind feel exhausted, which is one step closer to sleep! Depending how how much makeup I have on that day, I’ll use Yves Rocher Pur Bleuet Gentle Makeup Remover for Sensitive Eyes before or after a workout. Its delicate properties ensure that my eyes or skin won’t get irritated, while working to remove all traces of makeup before moving on to other skincare products. Unless it’s the weekend, I absolutely LOVE to shower in the evenings before bed! That feeling of freshly washed + moisturized skin under the covers is like no other. I also enjoy reflecting on my day, everything that I accomplished (or didn’t, haha! ), and beginning planning for the next morning while hot water splashes my back. This is often when I take the time to wash my face using Yves Rocher Pure Calmille Cleansing Gel; it can be used twice daily to help eliminate impurities and leave your skin feeling soft and flawless. I have very dry skin, however, the camomile and macadamia seed oil keeps it protected from getting dehydrated. Of course, we can’t forget to rinse our body, these days I’ve been enjoying the Yves Rocher Tiare Flower Ylang-Ylang Bath & Shower Gel! It smells fruity, exotic and very feminine, but definitely not over the top. Ylang-ylang oil has aromatic and relaxing properties, often encouraged to be used while taking a shower or bath. It definitely helps calm me and my thoughts down as I’m on this journey to a restful sleep. It is so important to moisturize! 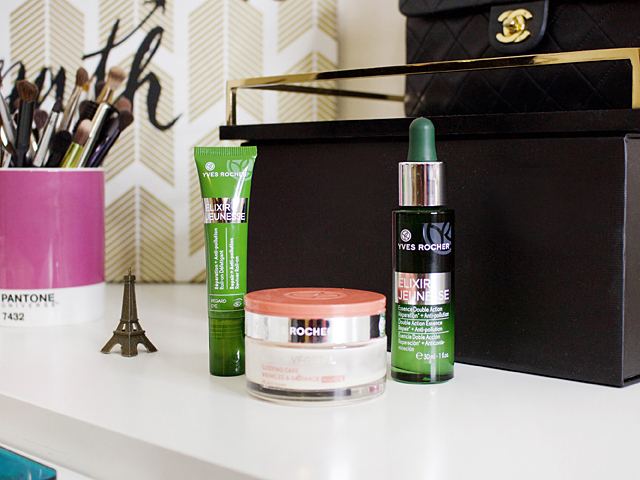 At night time, I opt for creams that are a bit heavier with more moisturization, regenerating and hydrating properties. 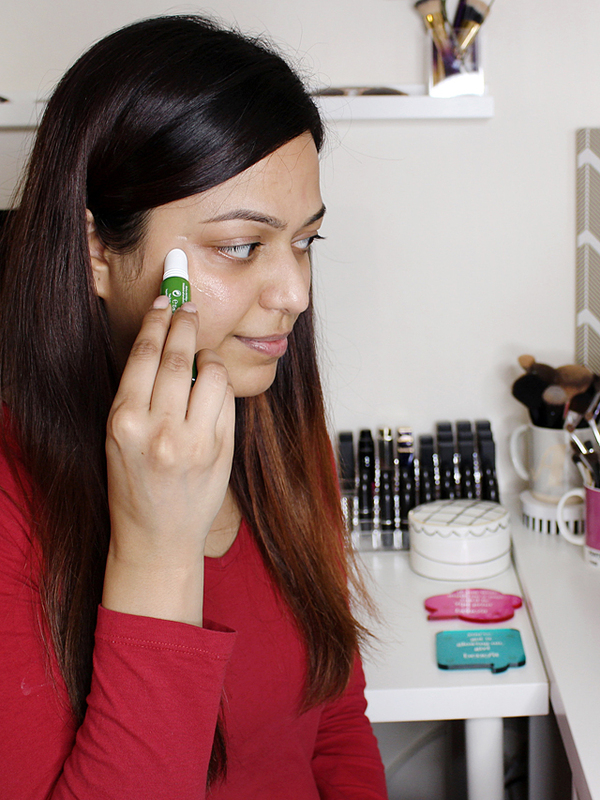 For my body I like to use the Yves Rocher Nourishing Lipid-Replenishing Lotion, it is one of my all-time favourites! The oat grain makes it super gentle, comfortable and nourishing on my dry skin. I also like that there isn’t a strong, empowering scent because it keeps my skin feeling calm and relaxed! Besides the evening care cream, I use both the serum and roll-on twice everyday, once in the morning and then again in the evening. 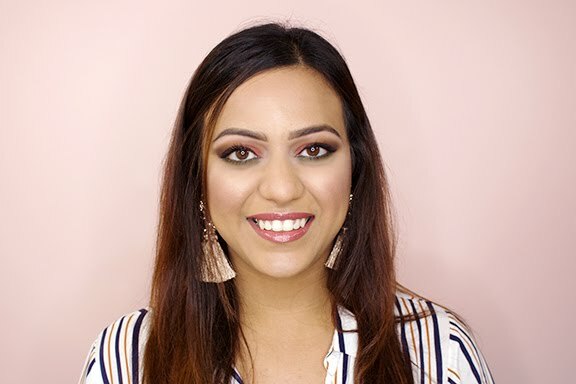 I have noticed a huge significant change under my eyes, as well as the texture and brightness of my cheeks and skin overall! Our skin handles a lot in a day, from pollution to varying temperatures + weather conditions, as well as fatigue from a jam-packed day of work and other activities. The Elixir Jeunesse line, recently launched, helps combat all of the above and works diligently to repair all the damage that our skin takes in throughout any given day. One of the main ingredients in this line is Alphoia, an extract from Madagascar, which absorbs the skin to assist with the natural extraction process. With the use of all these products, it’s important to give them time to seep into the skin and work their magic before you rest your head on your pillow and fall asleep. I take advantage of this time by meditating, concentrating on my breathing, and write all my thoughts + to-do items down in my notebook so that they’re out of sight and out of mind for the night. 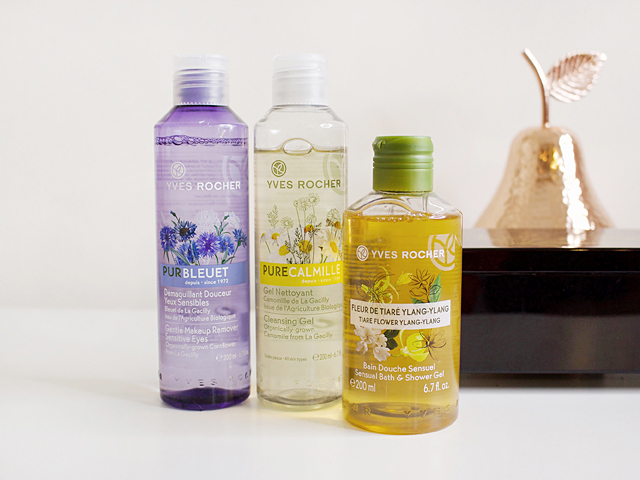 I’ve partnered with Yves Rocher to give one lucky reader the chance to WIN my evening skincare routine! To enter, you must follow @yvesrochercanada and @summerxskin on Instagram and indicate you did this in the Rafflecopter widget below. You can also collect extra entries through other ways as you navigate through Rafflecopter! No purchase necessary. This giveaway contest is open to legal residents of Canada, who have reached the age of majority in their jurisdiction of residence as of the date of entry. Entries for the giveaway contest must be received between Tuesday, February 5, 2018 at 8:00 AM EST to Tuesday, February 20, 2018 at 11:59 PM EST.